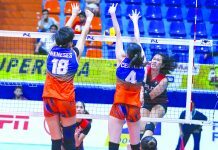 BACOLOD Tay Tung High School Thunderbolts aims for its third straight title in the U17 girls volleyball of Negros Occidental Private Schools Sports Cultural Educational Association (Nopsscea), which starts in September in Bacolod City. Jose Montalbo, Tay Tung’s vice chair for sports, said he is confident Thunderbolts has a strong chance in defending its title even with a relatively new lineup. Holdovers from last year are Joan Marie Monares, Shane Carmona, Alyssa Bertolano, Rhean Hebraica Almendralejo, Kiesha Bedonia, Beatrice Decena, and Katherine Shane Cortez. 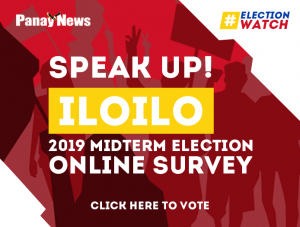 Among newcomers are Aurea Alvero, Annikha Cabasac, Dya Mejos, Katherine Tan, and Erika Deloria, a transferee from Trinity Christian School. 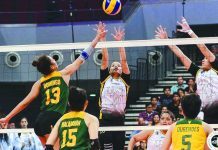 Thunderbolts, under head coach Ian Macariola, has been preparing for three months already, even participating in a pocket tournament in Bingawan, Iloilo in May, Montalbo added. Aside from the U17, Thunderbolts will also send its aspirants team in the U15. It will be handled by newcomer mentor Charisse Neri and assistant coach Biboy Calamba.